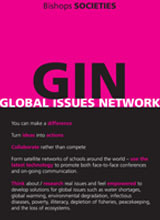 The aim of the Global Issues Network (G.I.N.) is to empower young people to collaborate locally, regionally and globally in order to create sustainable solutions for global issues. It is modeled on an international organisation (http://www.global-issues-network.org/) and has been running at Bishops since 2007. We use the Millennium Development Goals and the book by Rischard’s High Noon: 20 Global Problem: 20 years to solve them as a basis for identifying Global Issues. Boys are encouraged to think about and research topics and then develop an action plan and to take action, whether it is as small as putting up awareness posters around College or as big raising R70 000 to support the development of food gardens or doing a green audit of the Bishops campus (all past activities). Students engage in real issues that require urgent attention – not a simulation. Students take knowledge and translate it into positive action – opportunity to improve the human condition. Students take ownership of programme, and as a result, take leadership. Activities are collaborative – not competitive. Students build and use networks. Current projects are the World Savvy Challenge, growing the Bishops G.I.N blog and webpage, contributing to the Student News Action Network and growing awareness around global issues at Bishops. G.I.N. boys took the lead in the Bishops Next Wave Conference where they contributed towards a Vision Statement on Sustainability. In 2008 the G.I.N. boys attended a Global Issues Network Conference in Dusseldorf, Germany. They have participated in the YES Sustainability Conference hosted by the CTICC, were involved in looking at how to reduce electricity usage at Bishops through education and awareness. They took part in a wide variety of activities at the Inhlovu project in Monwabisi informal settlement. They have contributed to the Student News Action Network (http://newsaction.org/wp-signup.php?new=www.studentnewsaction.net). Two teams have taken part in Challenge 20/20 an online collaborative project. We completed a Bishops/LEAP school Green Audit of the respective schools and did so well that we were awarded funds to implement project ideas. Two boys did so well in Evoke: an online social reality game that they were sponsored by the World Bank to attend a Summit in Washington DC. Boys participated in a SAIIA (South African Institute of International Affairs) competition on sustainability and one team member was invited to COP17 that was held in Durban. Last year we participated in a SAIIA Mini-MUN (Model United Nations) and held a mini-G.I.N. conference at Bishops to which other schools were invited. GIN meets every week B Wednesday during Open Period. There are also 2 evening/Friday afternoon meetings to which interesting speakers are invited or an outing relevant to a project in which we are involved is organised.